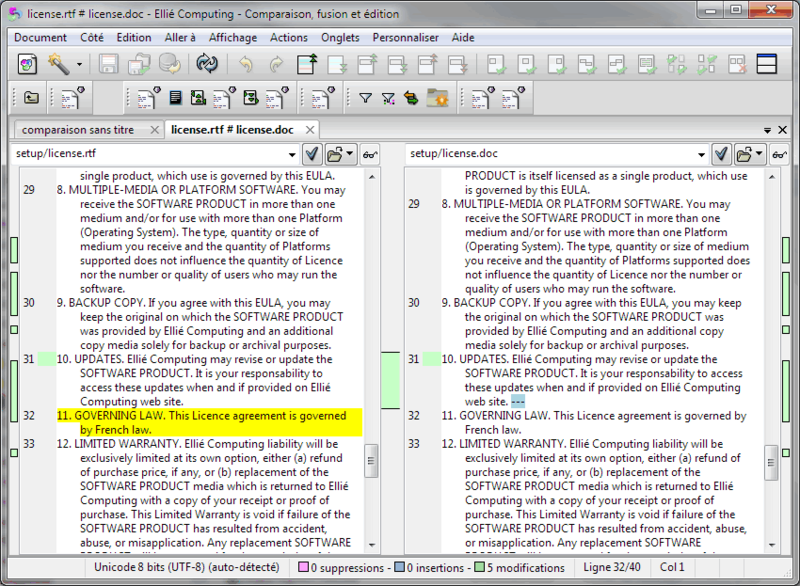 Ellié Computing Merge let you compare the text out of Word documents, RTF or OpenOffice.org Writer. ECMerge displays differences at the character or word level and let you navigate between these differences easily with buttons and shortcuts. For other formats such as PDF you can install converters (many are free) and ECMerge built-in plugins will call them automatically.